Evolve @ Typo – Young Vinnies keep the tradition going! An enthusiastic group of Galen students volunteered their time on Friday 4th November to mosaic, garden, wax boots, and clean the camping gear at Typo Station, Rose River. This was our final trip to Typo for the year, the energy and effort was outstanding. Evolve at Typo is a bush adventure therapy program for young men and women who might be struggling with school, home, life and the law. 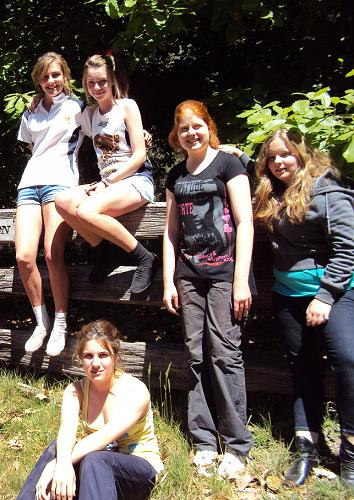 Camping, bush craft and group work help young people get back on track in a supportive environment. On asking how students felt about the day and the program some said “you’re never alone,” “you can always get helpers”, “we all work together to get things done,” “its good to help others”. Thank you very much Mehret Hill, Blake Saunders, Jemma Walker, Jemma Mahoney, Dane Levesque, Billie-Kate Rourke, Grace McMahon, Rhianna Dunne and Amanda Umanski on a great day out! For any other wellbeing concerns speak with your child’s homeroom teacher or contact a member of wellbeing on 5721 6322.